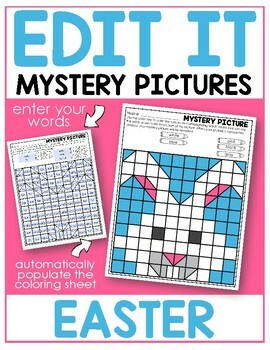 Mystery Pictures that are Color by Sight Words AND Editable? You Got It! This one is all about Easter! Editable Sight Word Activities are even more fun with these MYSTERY PICTURES. 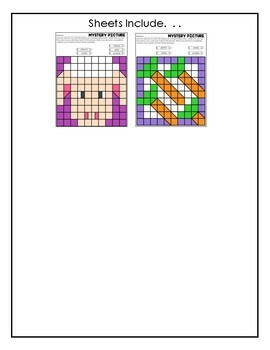 This packet of EDIT IT EASTER Mystery Pictures is designed so that YOU decide which words you want your students to practice. Add these thematic activities to your sight word stations to build engagement and fun. 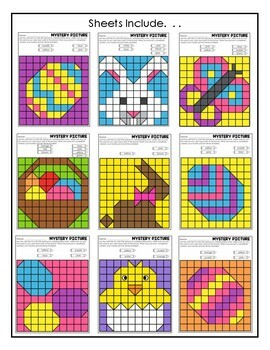 Students simply color by code filling each area with the designated color, and the mystery picture will appear. Setting up these mystery pages is easy. Make sure you open this pdf file with the latest version Adobe Reader and simply type the words you chose next to the colors in the highlighted area. 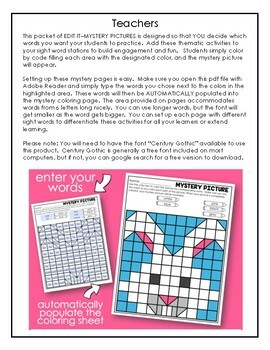 As you type, the words will automatically populate into the mystery coloring page. The area provided on these pages accommodates words up to 6 letters in length the best. The more letters you type, the smaller the font will appear. The font used in this product is Century Gothic. You can set up each page with different sight words to differentiate these activities for all your learners to use or use them to extend learning. If you would like to see other EDIT IT editable activities from my store, check out the products below.